A one-time price of $0.50 will be added to your order. Create your own lubrication point labels with these colored vinyl dots placed next to grease fittings, filler caps, containers, and reservoirs. 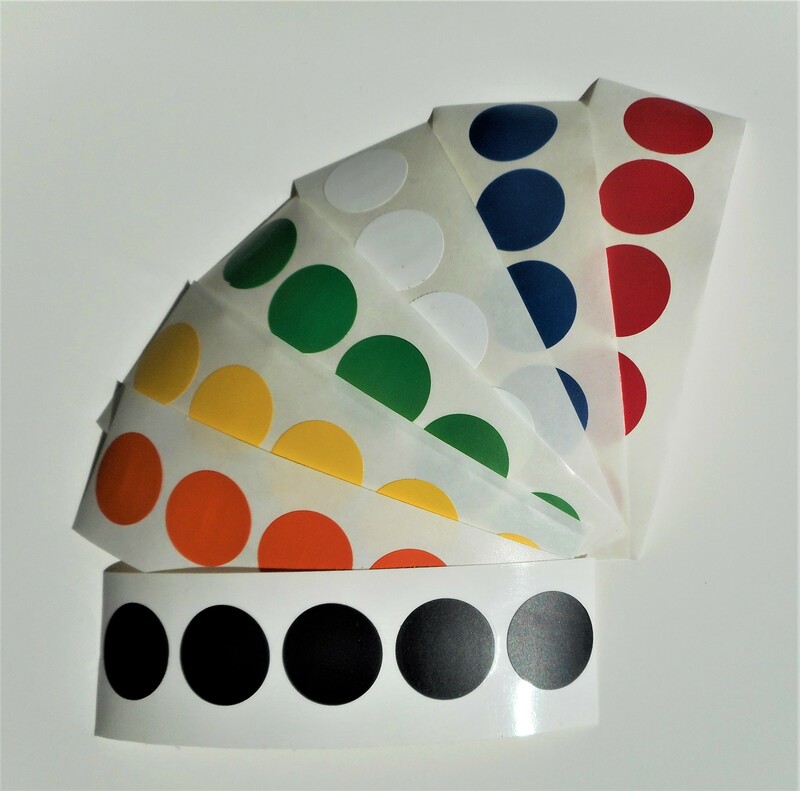 These colored 1-inch-diameter self-adhesive labels are the most durable we have found—weather, water, chemical (most), and traffic resistant. Write on them with a fine-point permanent marker, cover with the clear vinyl overlay, stick it on the equipment, and the label is virtually permanent. Available in red, green, yellow, white, blue, orange, and black.